Raise your VHS’ high if you’re a ’90s baby. The ’90s were the golden age of grunge music, butterfly hair clips, Dunkaroos, Beanie Babies, gel pens and so much more. 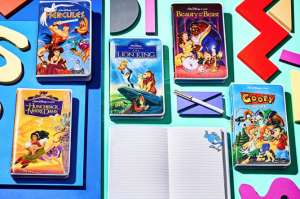 This golden age has circled back around with the resurgence of chokers and fanny packs, but Disney is about to make the ’90s more fashionable than ever. 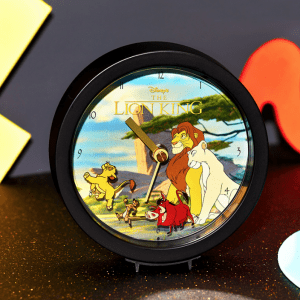 Oh My Disney just launched the ’90s Flashback Collection with merchandise from your favorite childhood movies such as The Lion King, Hercules and A Goofy Movie. 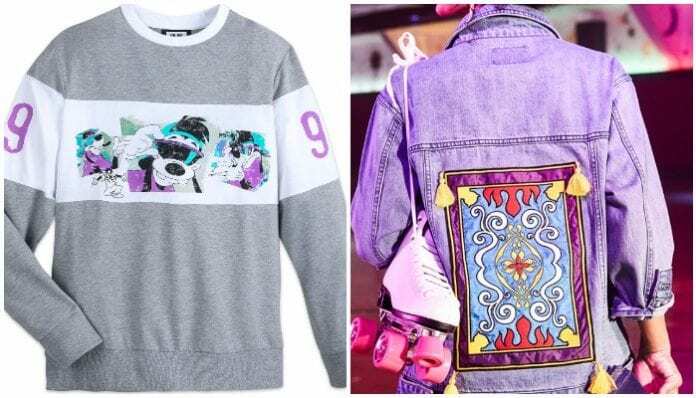 The Oh My Disney Instagram teased the collection yesterday with a stunning Aladdin denim jacket featuring his trusted magic carpet. Naturally, we couldn’t wait to see the rest of the collection. Mark your calendars! The Oh My Disney '90s Flashback Collection is coming to @shopDisney this Monday, October 15 ✨✨ #OhMyDisneyCollection ❤️???????????????????? This morning, they revealed the full collection complete with amazing shirts, keychains, mugs and more. 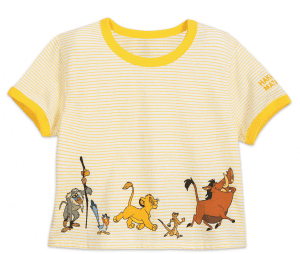 Their Lion King collection contains the cutest Hakuna Matata shirt you’ve ever seen and an alarm clock that’ll wake you up with no worries. Remember the iconic Goofy Movie we all loved as kids? 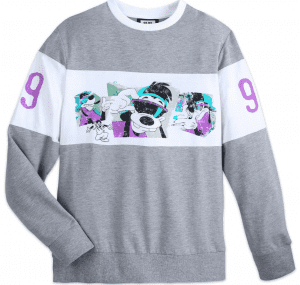 You can rock out your ’90s style in this vintage-looking sweatshirt with the raddest dude you’ve ever seen. 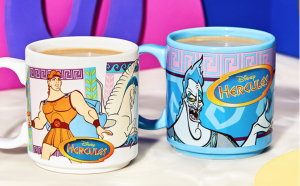 Hercules is a Disney god with new heavenly merch we love. Want to warm up with your favorite hero? Enjoy this sweet pajama set and awesome mug duo. 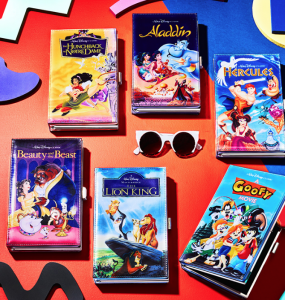 The designers at Oh My Disney took our favorite movie VHS tapes and turned them into fashion accessories you can’t refuse. Here are the cutest keychains, clutches and journals you’ve ever seen. If you are a true ’90s baby, you used to write everything in gel pens, and you were the coolest kid in the room if you had a pen with more than four colors. 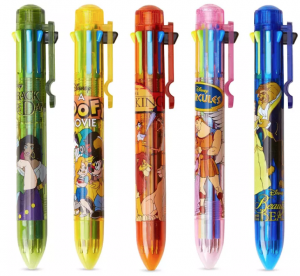 Now you can be the coolest adult in the room with these movie-themed pens with eight colors. This is so much nostalgia in one place. 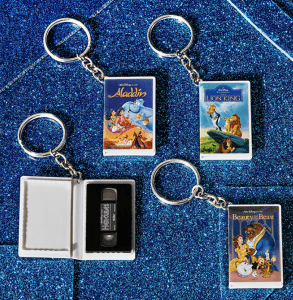 Shop all of Oh My Disney’s magical collections right here. What do you think of Oh My Disney’s collection? Sound off in the comments! 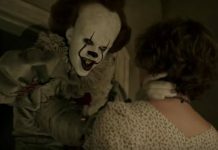 Next articleROAM Tell the Terrifying Story of A MAN WEEING ON CHRISTMAS DAY and Other Chilling Tales! !